Packing: Flat packed into clear plastic, resealable polybags. Pack of 100 Labels. This Large Black Work Mat is used to cover your work area prior to optical termination. The high contrast between the mat and the optical fibre make the finding of off-cuts easier to locate. 55cm x 35cm • Soft material as to not damage work top surface • Black in colour. Safety Kit option. 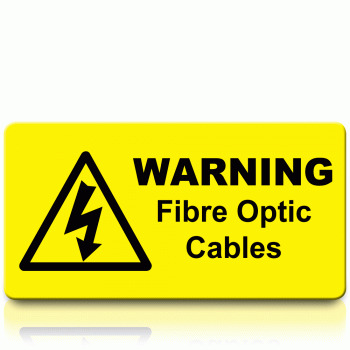 specifically designed for working safety with optical fibres. Water resistant permanent marker, bullet shaped tip. This water based lubricant is designed to aid the pulling of fibre cable into ducts & conduit,to prevent damage to the jacket. Aid Pulling Of Fibre Into Ducts/Conduit.